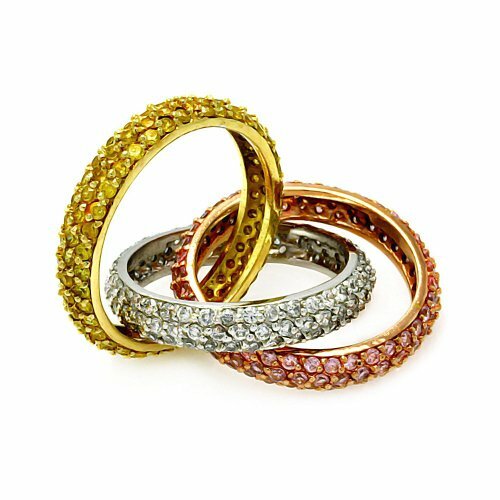 Clear Yellow And Pink Cubic Zirconia Intertwined Three Tone Plated Bands Ring 925 Sterling Silver Size 5. Our silver jewelry is made from Sterling Silver. Sterling Silver is a mixture of high-quality 92.5% or higher pure silver with alloys to add strength and ability to withstand time and wear. All our items have a 925 Stamp referring to the Silver Purity that was used when crafted. Please Note: The 925 Stamp location may vary, depends on the item.